residents of Whitby and surrounding areas. All of the physiotherapists at our clinic have taken many post-graduate courses and are fully qualified to provide you with the highest standard of physical therapy that you need to recover as quickly as possible. Using evidence-based practice options, you can expect to receive nothing less than effective and worthwhile treatment. The key to our success is that you, our patient, are an integral component in the rehabilitation plan. You will be armed with the information you need to ensure rapid progress. We believe that you should see an objective, measurable improvement from one visit to the next. As we begin treatment, we can correctly identify the cause of your problem, and design a treatment plan that will be effective. What we will not do is continue treatment that is ineffective. By directing treatment to the cause rather than the symptoms (pain, inflammation, muscle spasm), we accelerate healing. Give us a call in North Whitby and get started on your journey of healing today! 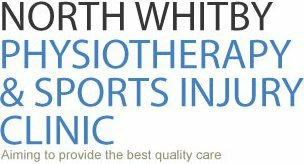 Are you the owner of North Whitby Physiotherapy?